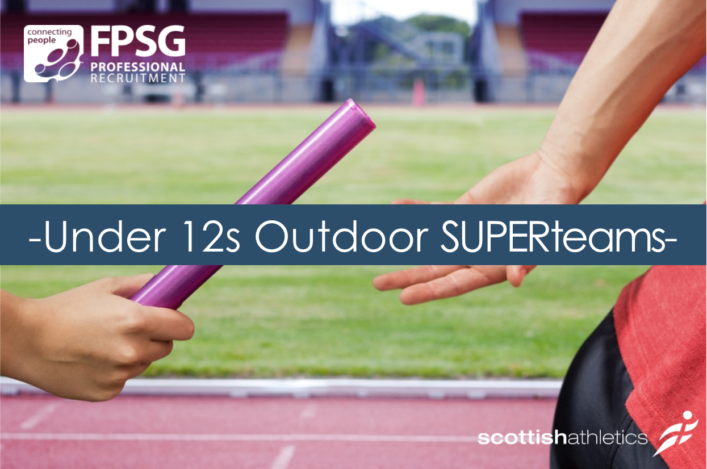 The scottishathletics FPSG SUPERteams event for our U12s headed for Perth at the weekend in what is always a great occasion for all those involved. The George Duncan Arena was the venue and, as always, we regard this as a key development event, with the youngest athletes at clubs given the opportunity to compete for the first time and try out in four different disciplines. There’s also a huge team element to the day and we would like to thank all clubs, athletes, parents, volunteer helpers and, of course, the scottishathletics Officials on duty in Perth – with some pretty awful weather at times refusing to dampen spirits! Indeed it has been really good to see the comments across our social media about the enjoyment factor, a well-organised event and underlining that thank you to our (wet) Officials. It’s also pleasing to see the way clubs cover the event across their websites and social media and we feel that is the right place for this event. 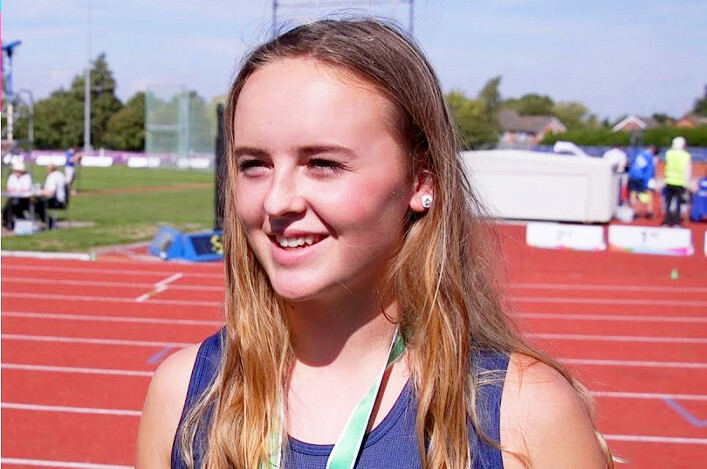 Well done to the young Scottish athletes who competed over the weekend in Italy at the International Youth Cup. There was a fine top ten finish for Lyn McKenna of Giffnock Nortth as she took ninth in the Women’s race, with her club-mate Rhona Mowat at 23rd and Zoe Nicholson of Pitreavie AAC in 33rd. 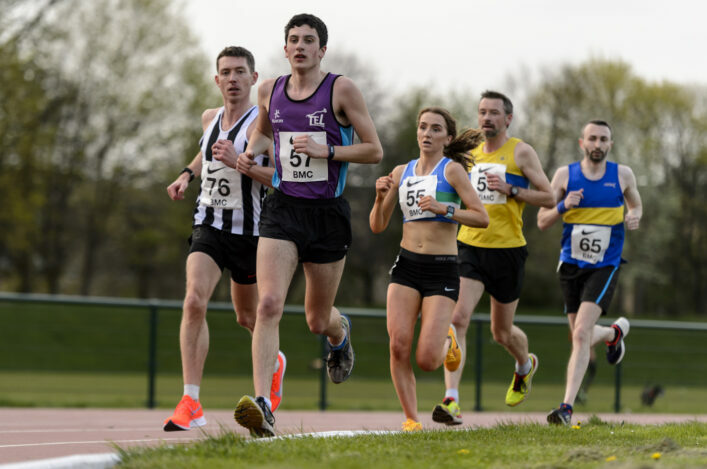 For the boys, Robert Sparks of Fife AC fared best of the Scottish trio in 19th place as Sunny McGrath of Deveron Harriers came home in 26th place followed by Jack Trainer of Garscube Harriers in 37th. Thanks to the athletes and the team managers involved on the trip to Italy and also to Malcolm Patterson. 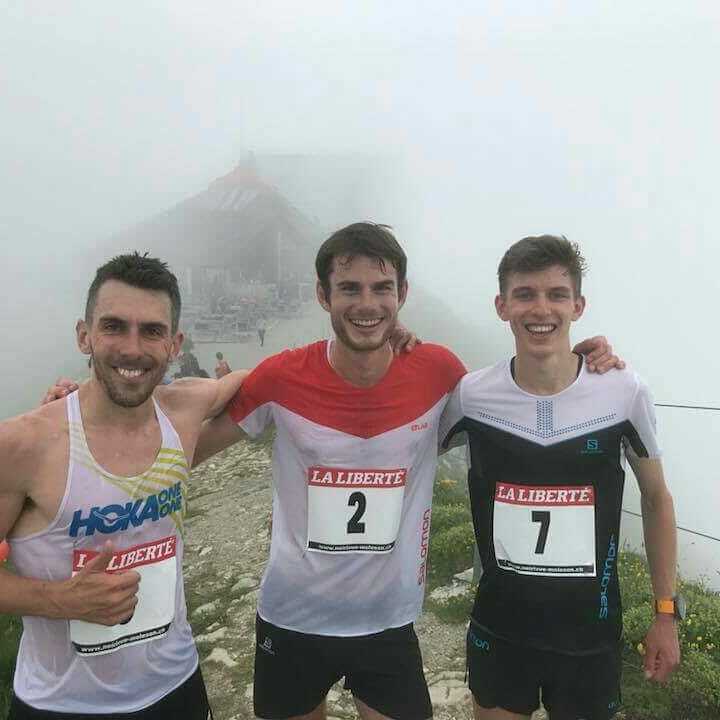 To maintain the hill running theme, there was a Scottish 1-2-3 at an international race in Switzerland as Gold Coast 2018 marathon medallist Robbie Simpson led home Andy Douglas and Jacob Adkin. There isn’t much doubt that our hill runners really are in good form at the moment. Andy for his part is preparing for the up-coming European Championships in Romania early next next month. British international athlete Luke Traynor recorded the fastest time for a road 10k by a Scot for more than two years in a record breaking run in Glasgow on Friday night. 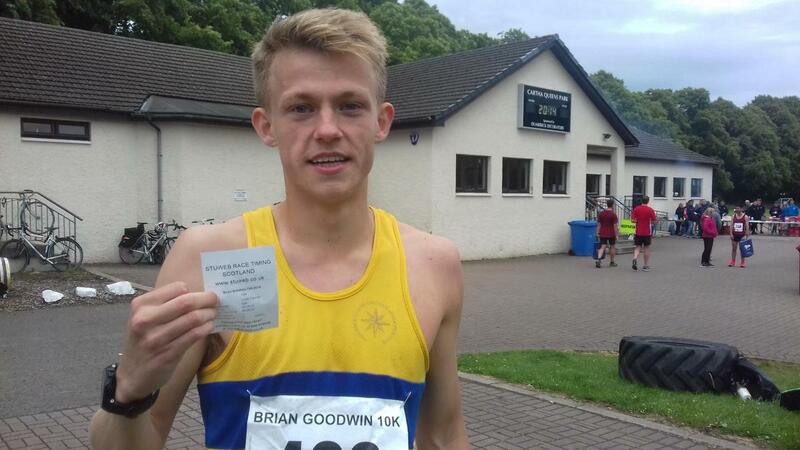 Traynor’s official time of 28:32 at Bellahouston Harriers’ flagship 10k – the Brian Goodwin Memorial – moves him to third in the all-time Scottish rankings over the distance, behind Allister Hutton’s 28:13 set in 1984 and Andy Butchart’s 28:28 at the London 10000 in May 2016. Following Traynor home was Calum McKenzie of Corstorphine AAC (30:49), who held off the challenge of Inverclyde’s John Bell (31:21) and Cambuslang Harriers’ Fraser Stewart (31:22) to claim second. 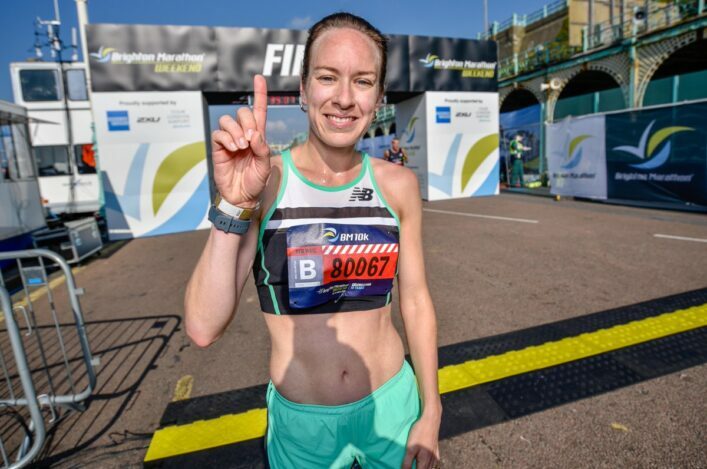 Jenny Bannerman won the women’s race for the second time and also set a course record of 35:08, eclipsing her own time from 2016 by thirty seconds. Also under the old course record and taking second was Kilbarchan AAC’s Elspeth Curran (35:25), while Edinburgh AC’s Lauren Wilson was third (37:25). *Mhairi Maclennan to the win at the Barrowford Podium 5K in Burnley with a great run of 6.11. Maclennan’s Edinburgh Uni Hare and Hounds team-mate, Steph Pennycook, was third in a PB of 16.22.